The final cruise ship call at the Ogden Point Cruise Terminal in Victoria, BC will take place on Sunday, Oct. 14, 2018, capping a season that witnessed a series records for the Greater Victoria Harbour Authority (GVHA), according to a statement. From the season launch on April 11 to the final call this coming weekend, the Greater Victoria Harbour Authority (GVHA) welcomed close to 640,000 passengers and 260,000 crew on 250 ship calls from 12 different cruise lines. A highlight of the season was the June 1, 2018 inaugural call of the Norwegian Bliss. 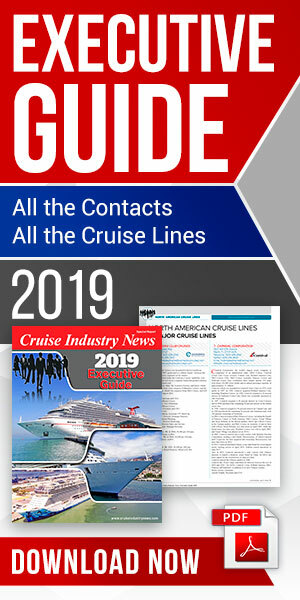 “Norwegian Cruise Line, along with the other 11 cruise lines visited this season, consistently rank Victoria’s Ogden Point Cruise Terminal as a port of call that is welcoming, easy to work with, and focused on sustainability and environmental improvements,” said Lindsay Gaunt, Director, Cruise Development, GVHA. With more than 30 percent of passengers walking to and from the cruise terminal to points in downtown Victoria, GVHA worked with the City of Victoria on streamlined wayfinding signage and maps, according to a statement. Passengers choosing to travel to and from the terminal were welcomed by expanded human-powered transportation options including pedi-cabs, rickshaws, and bike rentals. In preparation for the arrival of the Norwegian Bliss, terminal improvements were undertaken to install new bollards at Pier A South to safely and steadily secure the 168,000-ton vessel. GVHA’s terminal management partner Western Stevedoring added new lighting at Pier B to improve safety and energy efficiency, as well as reduce light pollution. GVHA team members are already working on further terminal improvements for 2019, which includes the lengthening of the Pier B mooring dolphin, which will accommodate docking of the Royal Caribbean International Ovation of the Seas at the deep-water facility. In addition to welcoming the Ovation of the Seas, the terminal will also see the arrival of new cruise lines to the market including Azamara and the return of Cunard Line.